Last night, I met my colleague from Bangalore, India, Rabbi Tzvi Rivkin, at the annual conference of Chabad Lubavitch Shluchim in New York. (Spoiler alert: His son and my son Ari will share a stage on Sunday night). I learned that he moved with his family to Bangalore ten years ago. It wasn't something he was planning on doing. In fact, he was eager to join the ranks of Shluchim - but not in India. He had visited India to assist Rabbi Gavriel and Rivki Holtzberg, the Chabad emissaries to Mumbai. Ten years ago, Rabbi Holtzberg begged him to move to Bangalore, but Rabbi Rivkin did not feel that he was the right fit for an assignment as trying as Bangalore. Again and again, Rabbi & Mrs. Holtzberg tried to convince them to no avail. 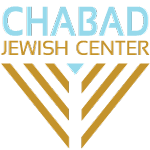 Nonetheless, Rabbi Holtzberg insisted that Rabbi Rivkin represent him at the annual Chabad Shluchim Conference, which he was unable to attend that year. Rabbi and Rebbetzin Holtzberg were tragically murdered in a terror attack just a few days later. At the funeral for Rabbi & Rebbetzin Holtzberg, Rabbi Rivkin suddenly realized he simply had to move to Bangalore. Because the only way to fight terror – and to continue their legacy – is through adding light. And the life of Sarah was one hundred years and twenty years and seven years; these were the years of the life of Sarah. It opens with her burial. Remarkably, we are told little of Sara’s accomplishments during her lifetime. Her life is celebrated after her passing. The repetition of the “life of Sarah” in the verse teaches us that her life can be evaluated on two levels. Her measurable accomplishments are reflected in the specific years of her life. But, there is also something larger about her life. The immeasurable impact that outlasts her time on earth. These accomplishments are usually only realized after one’s passing. Through the actions and lives of those that love and succeeded her, the life of Sarah continues. In fact, we – all her descendants today – are continuing to write her story through the lives we live. These countless achievements are reflected in the repetition - these were the years of the life of Sarah. This past Shabbat American Jewry experienced the deadliest anti-Semitic attack in our history. The loss is crushing and the questions remain. As we mourn the sacred eleven lives lost, let us remember that although their lives on earth were tragically cut short - it is up to us to us to finish their story. We can – and must – continue their legacy. Let’s dedicate extra mitzvot and acts of kindness in their memory. Through our actions and endless light, their endless lives will continue.